I've been ranting a lot about Prometheus on Twitter, mainly because I was so disappointed at what a missed opportunity it was due to a very poor script. 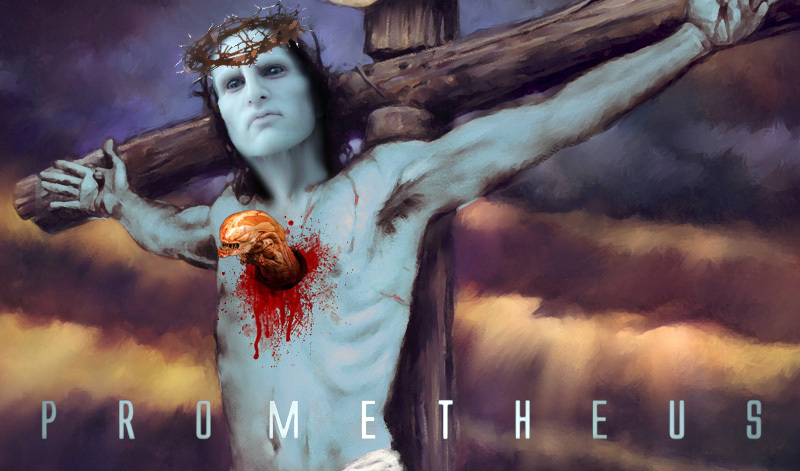 Now Ridley Scott has said originally in the script the reason the Engineers turned on humans was because we killed one of their emissaries 2000 years ago, that's right, Jesus was an alien Engineer. Hence the below Photoshopped picture, I couldn't resist.